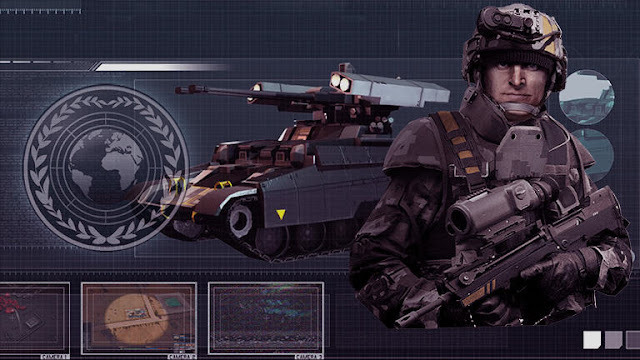 In Act of Aggression Chimera is the special unit of the UN and the main faction in the solo campaign. But what has it with the European elite unit on and how they take action against the unscrupulous cartel? We have gathered all information about Chimera and show you the way of playing. Act of Aggression, the old school RTS game from the creators of Eugen Systems builds on the classic base building and military units of the near future. So just like that time in Command and Conquer: Generals! But instead of China and terrorists, visit Act of aggression the US Army, the nasty cartel and the brave Europeans from the UN Special Force Chimera! Act of Aggression: Chimera - The UN shows its claws! Chimera is a multinational elite task force, which was launched by the UN to get the machinations of the cartel on the ropes. After all those nasty profiteers have triggered most likely the bank crash of Shanghai and thus triggered a massive economic crisis. And since the cartel now its greedy fingers reaching out to the US and even an ultramodern, private military has launched, the UN founded in return Chimera, a modern task force, which consists mainly of the powerful European states England, France and Germany and also the current military equipment used. Therefore, you will meet in the arsenal of Chimera on modern vehicles like the light German tank Puma or the Eurocopter (Helicopters) Tiger. But as the story of Act of aggression plays in the 2020s, there are also considerably more futuristic devices at Chimera. So for example, running the elite infantry of Chimera in Exo-armor Advanced Warfare around and in the air do all sorts of armed drones in service. Furthermore, the entire army of Chimera is equipped due to its multinational composition very flexible and for each battle task. But for the Europeans lack true specialists. Of the French FELIN, the British SAS on German Panzer Grenadiers to Exo-soldiers. The Chimera has a nice selection of infantry, even if the Euro-soldiers, the combat experience and strength of the US Marines missing. The Chimera fleet is extensive and consists of numerous light and medium duty vehicles, which can be very versatile all. However Chimera missing a really tough armor like the M1A2 Abrams. The airspace of Chimera is guaranteed especially with drones, but also aircraft such as the PAK FA or Eurocopter are one of the party.